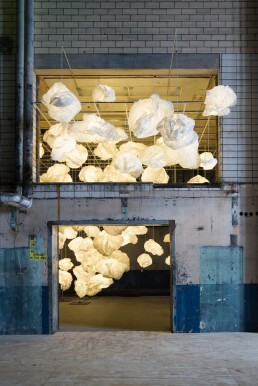 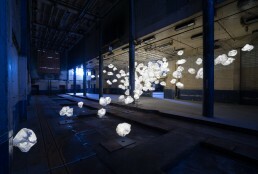 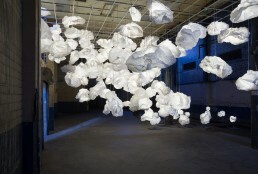 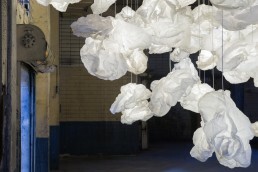 Paper Cloud is a Bridge Project created in collaboration with Stuart Allen, Rebecca Bruce Comeaux, and Robert Amerman. Owned by Cade and Stuart, Bridge creates projects that foster new skills, build confidence, and develop creative outlets. Each lamp is constructed by a fleet of 70 individuals over a series of 8 workshops. 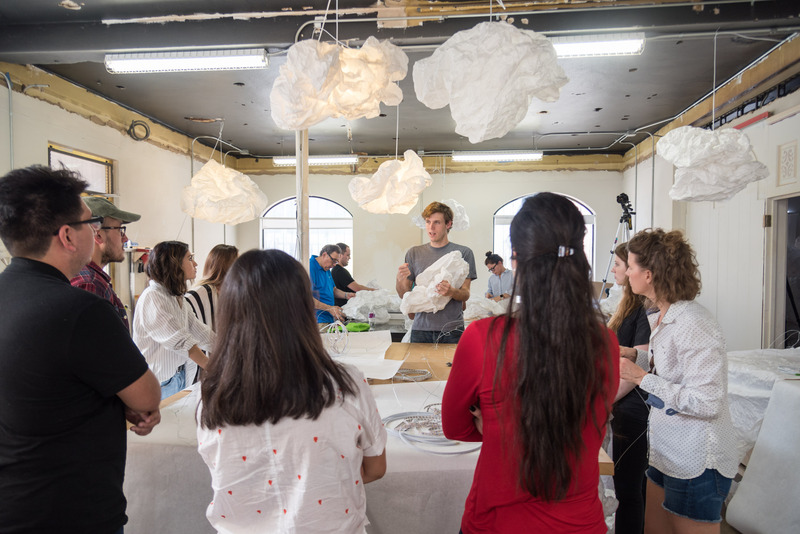 Architects, design professionals, colleagues, and students folded, stapled, and arranged paper around a wire frame to create a soft and billowing object. 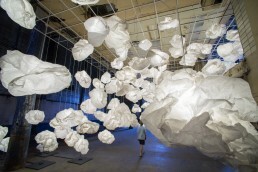 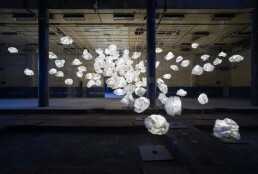 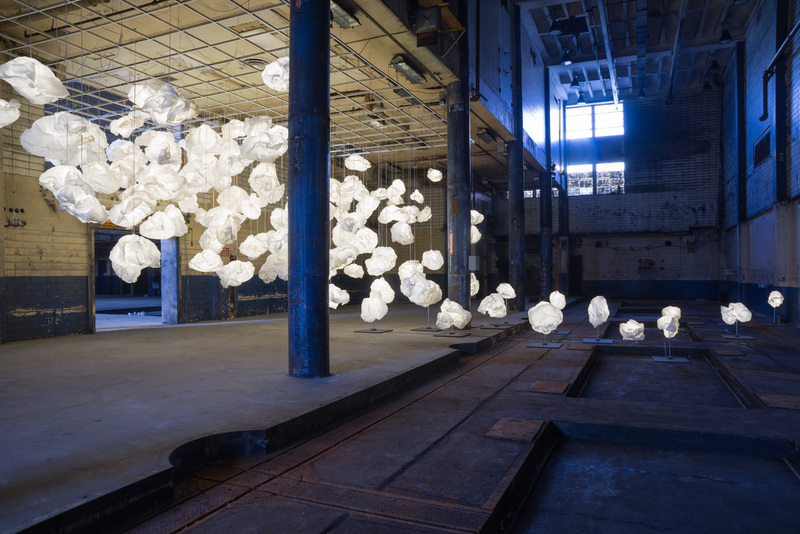 Paper Cloud is a temporary installation for AIA San Antonio’s Beaux Arts Ball 2017. 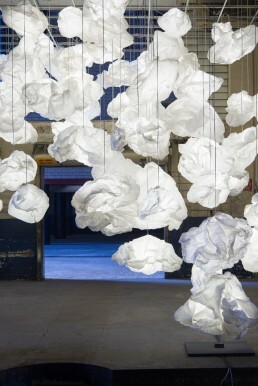 The cloud describes both a singular sculptural lamp and the overall mass. 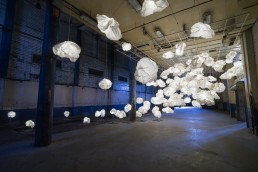 For a full list of project participants, please visit the Bridge Projects website.